We source our range of UBC aluminum scraps from industry's leading UBC scrap manufacturers. The scraps are light in weight and have excellent corrosion resistant properties and thus prove of high utility for end users. We can provide bulk quantity aluminium extrusion scrap 6063 , aluminium ubc scrap and alloy wheel scrap in bulk quantities. Baled Aluminum Used Beverage Can (UBC) Scrap Shall have a minimum density of 14 pounds percubicfoot (225kg/m3), and a maximum density of 17 pounds per cubic foot (273kg/m3) for unflattened UBC and 22 pounds per cubic foot (353kg/m3) for flattened UBC. 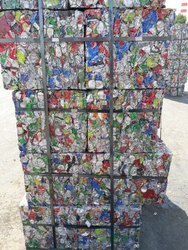 Aluminum can Scrap (UBC) Aluminium Used Beverage Cans Scraps - ISRI TALDON This is an aluminium can scrap which is generated from beverage cans The cans are free from dirt's, dusts, water and oil. This is ongoing supply and we are capable of meeting your quantity requirements. 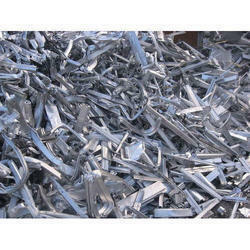 We are providing a large assortment of Aluminum UBC Scrap. These offered ranges are used in various application. We have aluminum ubc scrap. Consist of all clean aluminum cans which may contain pressed soft drinks can and to be free of liquid, and all attachments. We have emerged as a prominent UBC Aluminum Can Scraps Trader in India. UBC Aluminum Can Scraps offered by us have little impurity and are useful for a variety of applications. We maintain a huge stock of UBC Aluminum Can Scraps at all times. Besides, the UBC Aluminum Can Scraps are offered in proper packaging to ensure their quality on delivery.